While I value my time off, I don’t enjoy spending the whole day sitting inside. But Sunday’s in Germany are considered to be a day of rest for the majority of the town. That means the malls/ outdoor shops are closed, the grocery stores are closed, and even some of the local restaurants are closed. -Sit out on your balcony or join the locals sunbathing and napping in the park. I’ve spent the previous two weekends slathering on sunscreen and sitting outside on our balcony; soaking up the rays, reading a book and enjoying a beer. I have also been going to the park with Matt, people watching and noting all of the activities we can do in the weekends to come (including badminton, mini-putting, grilling, picnicing or paddle boating by the lake). And find out if they offer anything special at particular times…a dolphin show perhaps? The Nürnberg Zoo offers this. -Take a guided bus or walking tour. Matt and I took a guided tour of our own town around Christmas for something to do during the holidays. It’s interesting to discover new spots and learn a bit of the history the stories behind the buildings. We have also taken a few guided tours during our weekend travels. Sunday’s are the perfect day to hit a museum as they are one of the few attractions that remain open. It*s important to note however, whether the museum offers descriptions in both German AND English when touring Germany and if an English description is note provided, find out of audio guides are available. This past Sunday, I spent the morning at the Nürnberg Museum of Kommunikation and the Deutschebahn Railway Museum. 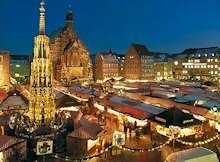 -In December, go to the Christmas Market. -Go to one in every town you visit and go often during the month of December. Nürnberg may have one of the most famous Christmas Markets and one of the largest, but other cities have different things to offer. While you’re at it, get a mug of Glühwein. 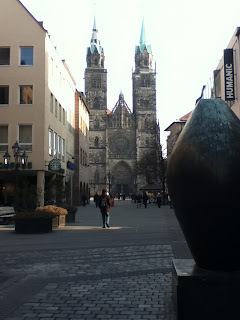 I went to the Nürnberg market at least 3 different times as well as the Bamberg market. I collected a few of the different glühwein mugs. -Take a day trip to a nearby town and spend the day walking around and enjoying the new scenery. Stop somewhere for lunch. In Bavaria, it’s very easy and cheap to hop on the train to one of the surrounding cities. Most places keep their tourist offices open on Sunday’s so you can pick up a map and guide yourself through the main attractions or inquire about their daily tours. Either look-up a restaurant before you go (I like Tripadvisor.com) or wander through the streets. I like finding restaurants in Germany because the majority of them have their menu in the window or available for you to read before you decide to go in. 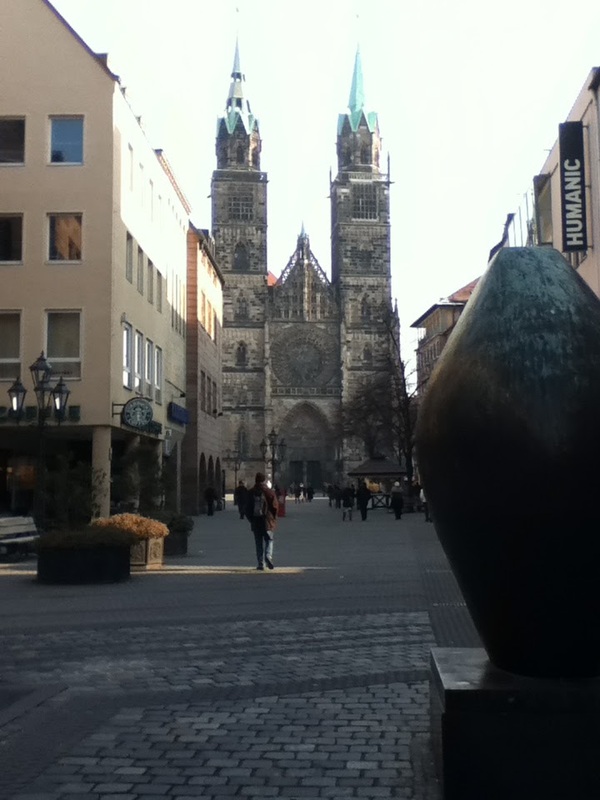 If you are looking for cities to hit up for a day trip, we like Nürnberg (where we reside), Bamberg (where Matt did his university exchange two years ago), and Regensburg. Not sure where to go? Why don't you start by researching everything to see and do in a number of cities that sound appealing to you. It's time consuming so it's best to do it bit by bit over time. I have a bookmark called Europe Travels and within that folder are 13 cities and their attractions I find fascinating. That's only the beginning. Then when it comes time to make the decision, you can narrow down the location based on what there is. Will you need a week or can it be done in a weekend? Does it still seem like somewhere you want to go? A movie? Yes a movie. Your city may have a small selection of films available in English. To find out if your city does and what the postings are, check the Lifestyle section of The Local, weekly! -See all of the major sites. A very practical list. Five years here and still I end up searching for what to do in Germany on a Sunday after trying most things on the list. Loved the blog.